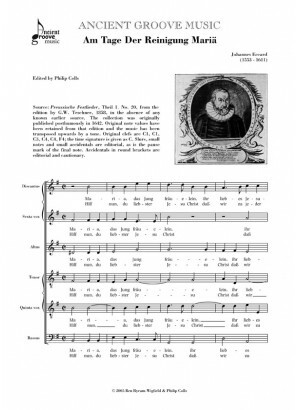 SSATTB anthem for Candlemass, edited by Philip Colls. Source: Preussische Festlieder, Theil 1. No. 20, from the edition by G.W. Teschner, 1858, in the absence of any known earlier source. The collection was originally published posthumously in 1642. Original note values have been retained from that edition and the music has been transposed upwards by a tone. Original clefs are c1, c1, c3, c4, c4, f4; the time signature is given as c. Slurs and the contents of square brackets are editorial, as are accidentals presented above the stave. Accidentals in round brackets are editorial and cautionary. 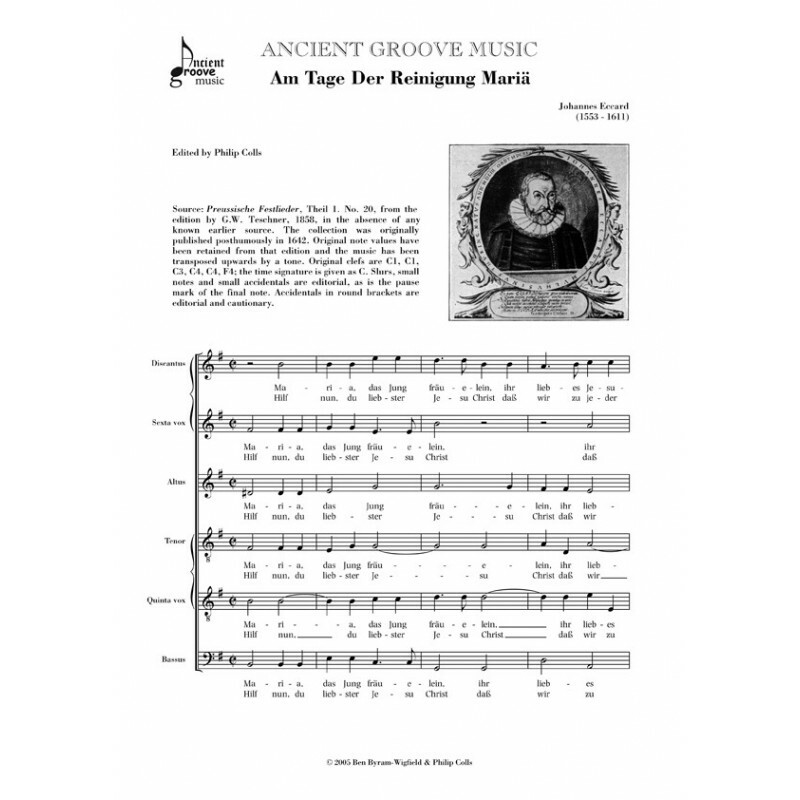 All 5 verses, written by Peter von Hagen, are included.